80% of car shoppers have credit too poor to lease or purchase a vehicle. 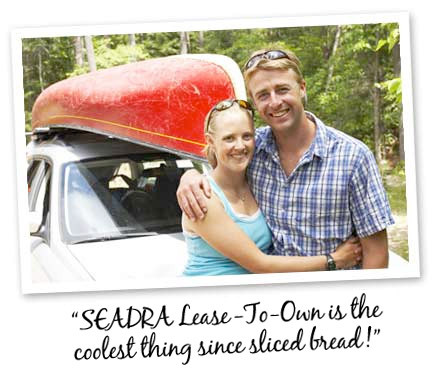 Send them home in SEADRA Lease-To-Own vehicles and start developing a huge monthly cash flow! Lease with the option to OWN! 8 out of every 10 people that walk on the average car lot in the United States have money for down payment, a job, but little, bad or no credit available. The sales team wastes their time with 80% of the people they talk to, unless they have the ability to sell the vehicle on a Lease-To-Own basis. Why not convert that 80% with the SEADRA Lease-To-Own System and make more profit than ever imagined from shoppers that are turned away in droves. Sub prime lenders are drying up and won't take chances on loans without some guarantees. The BHPH industry is slowly realizing that time has come for the SEADRA Lease-To-Own System. Now is the time to act.